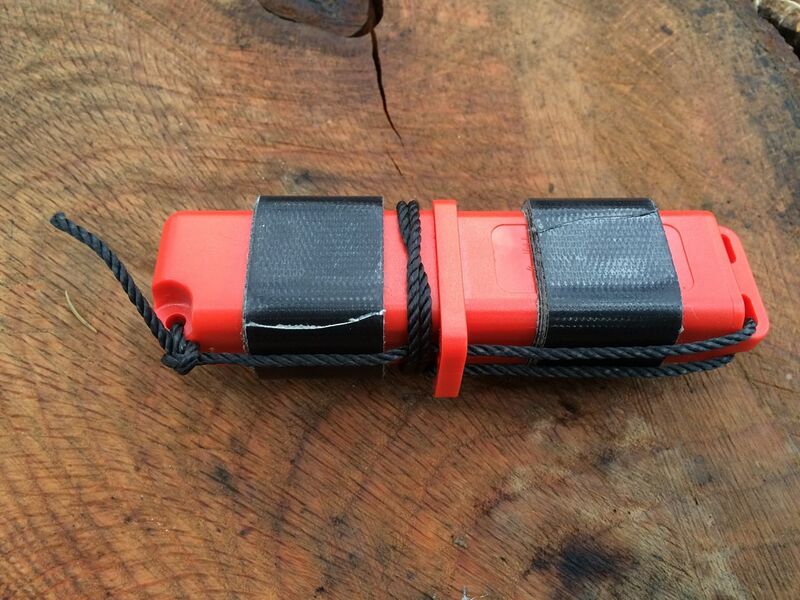 The StrikeForce fire starter by UST is a unique piece of kit. Not only does it offer a very robust striker and ferro rod, but it also provides a small compartment to store sure-fire tinder. The case is designed to give you a very strong and secure grip, which comes in handy during inclement weather. This all-in-one fire starter is ideal for those that want to travel with a minimalist loadout, but still have a 100-percent-guaranteed way of making a fire. On my personal StrikeForce, I wrapped both ends with several feet of 1″-wide Gorilla Duct Tape. It’s an excellent flame extender when working with damp or marginal firewood, and can be used for first aid: Use it to secure bandages, secure sticks for a field-expedient splint, as improvised moleskin for hot spots on your feet, or as improvised Band-Aids. I also replaced the factory lanyard with a longer piece of #36 blankline. This gives me the option of attaching other survival items, such as a small piece of FatWood. 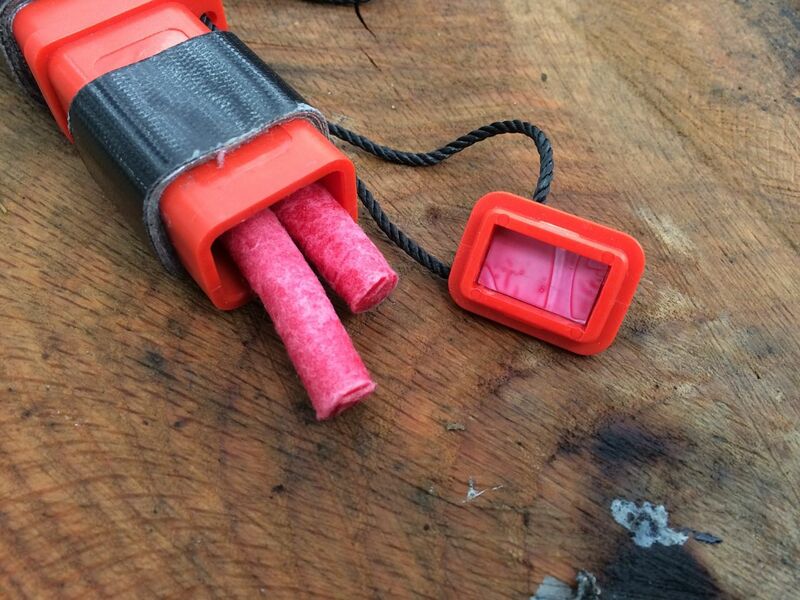 For the compartment, I chose to keep two Micro Inferno Sticks as my sure-fire tinder. These combined with the StrikeForce itself will give me a guaranteed fire in any condition. The ferro rod and striker that come built into this unit are very robust and produce some of the hottest sparks of any ferro rod I’ve used. 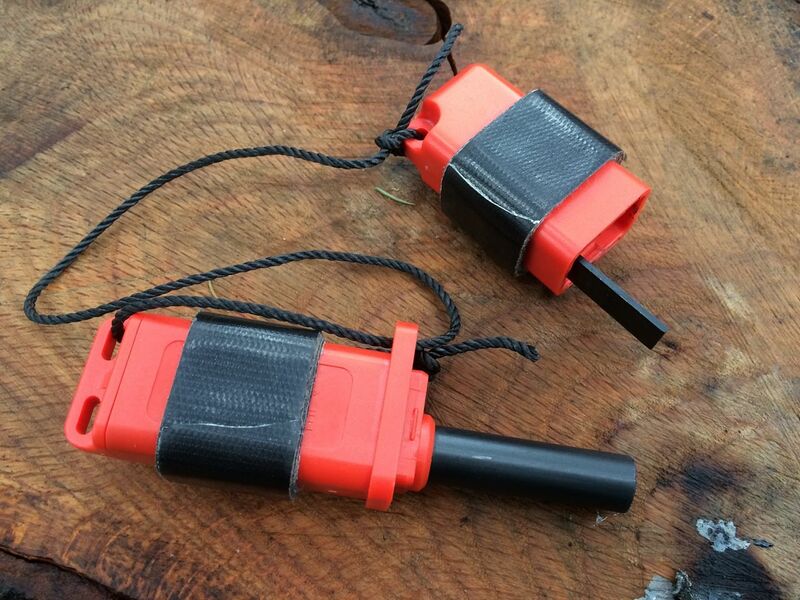 When your life depends on getting a fire started, this is something you’ll want in your kit! This is a must for any survival kit and/or hiking backpack. If you’re in a military SOF unit that gets deployed to the field a lot, this may be a good tool for you to keep in your kit for emergencies or SERE situations where your life may depend on getting a small fire going.